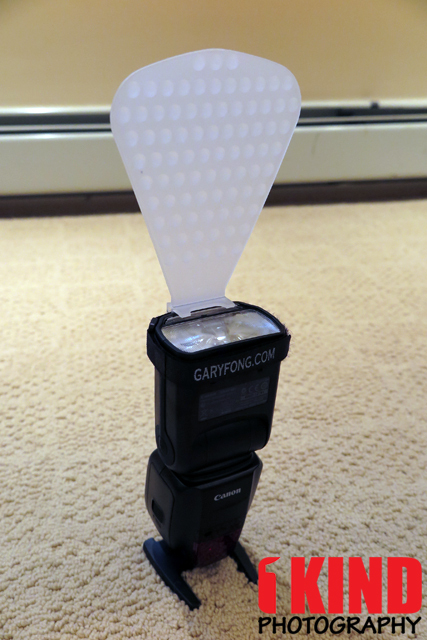 Overview : The Gary Fong Lightblade Diffuser is designed to accommodate nearly all speedlight flashes. The new Lightblade Diffuser softens harsh light emitted from power-packed speedlights, minimizes shadows and reduces glare while creating more accurate skin tones. The portability and compact size of this combined bounce and shoot-through diffuser make it a perfect solution for event photography, portraits, interiors and product shots. 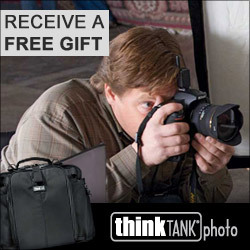 The Lightblade Diffuser is an ideal tool for photographers of all skill levels looking to create soft lighting for more flattering images. 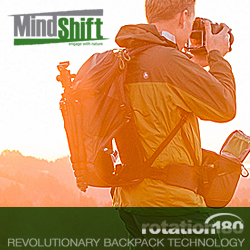 Attached using the Gary Fong patented strap and band mounting system, the Lightblade Diffuser mounts directly onto the flash head and is then secured with the included Gary Fong Velcro Cinch Strap. 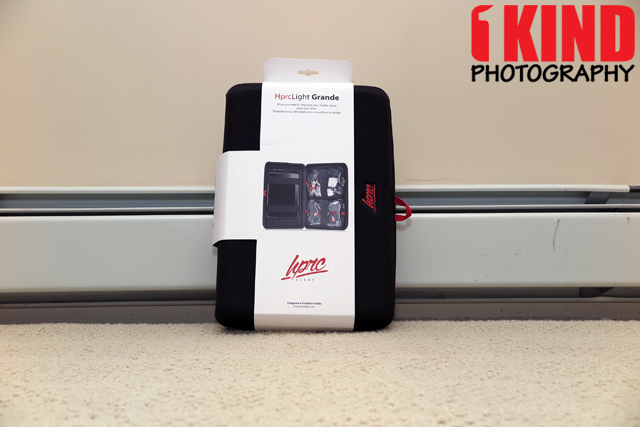 This allows photographers using the Lightblade Diffuser to conveniently shift shooting between a horizontal and vertical orientation without changing the light angle or having to remove the diffuser. As technology develops and speedlights become increasingly less intimidating touse, speedlight photography is becoming exponentially popular, from novices to pros, photographers expect more freedom to shape their light, and Gary Fong is committed to providing just that. The versatility of the Lightblade Diffuser is sure to fit the many needs of photographers' shooting styles and selected gear. Quality/Usability : There are many flash diffusers on the market such as the Lightsphere, but who better than Gary Fong to release a new diffuser. The Lightblade Diffuser is designed to soften harsh light emitting from speedlights which helps minimize shadows and reduces glare. 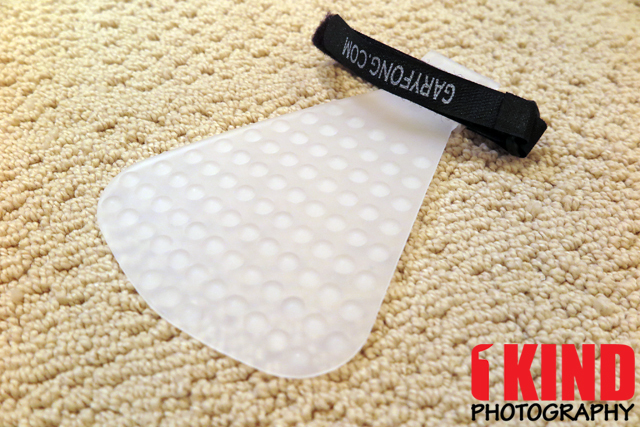 The Lightblade Diffuser includes the diffuser and velcro to help secure it to your flash head. The front of the Lightblade Diffuser has little nubs while the back is smooth. 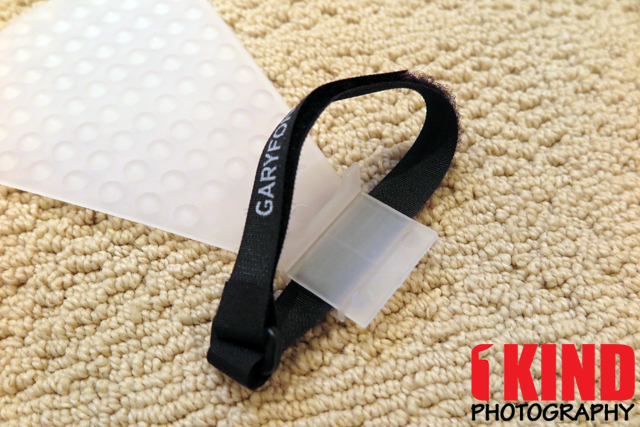 There is a velcro strap attached to the diffuser that helps secure it to your flash head. 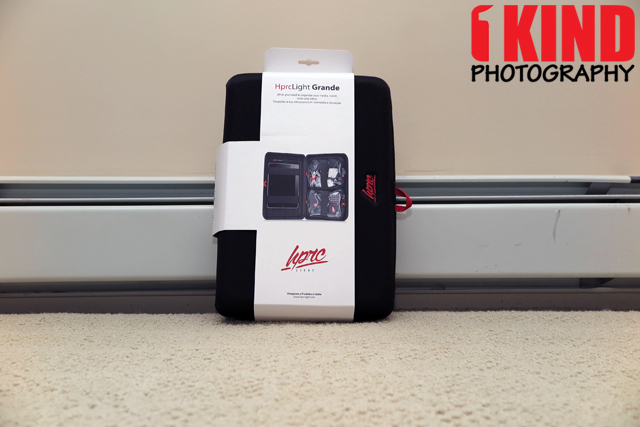 Pictured above is the Lightblade Diffuser attached to a Canon 600EX-RT. 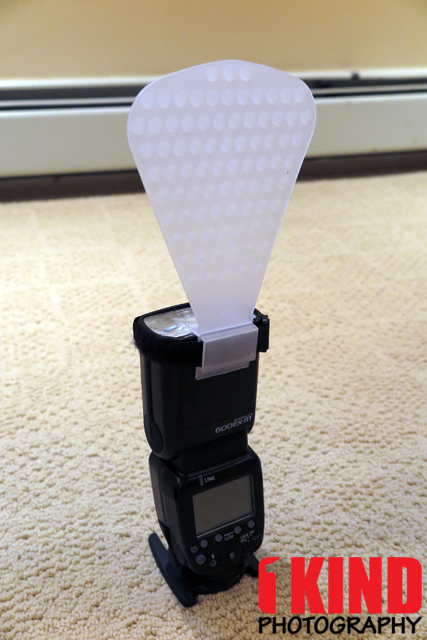 If it fits perfectly on a big flash head like the 600EX-RT, it will have no problem attaching to any other speedlight. The image on the left is with the flash pointed up towards the ceiling with the built-in bounce card extended out. Image on the right is with the Lightblade Diffuser. No editing was done other than the watermark. From the looks of the image, the Lightblade Diffuser directed more light at the object. 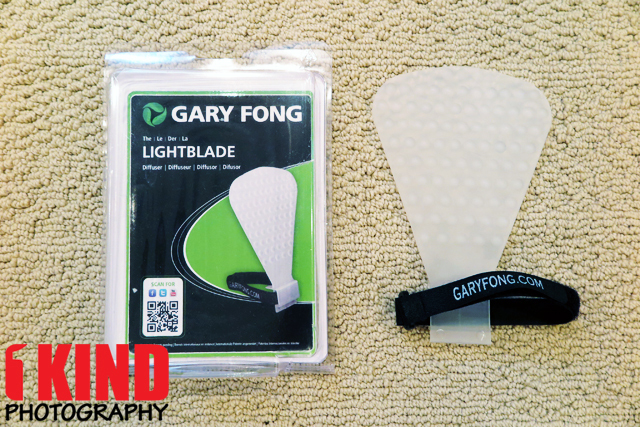 Conclusion : Overall, the Gary Fong Lightblade Diffuser is a portable device that does not take up a lot of space in your camera bag. From the sample picture above, the diffuser does direct slightly more light towards the subject than the bounce card that is on the camera.